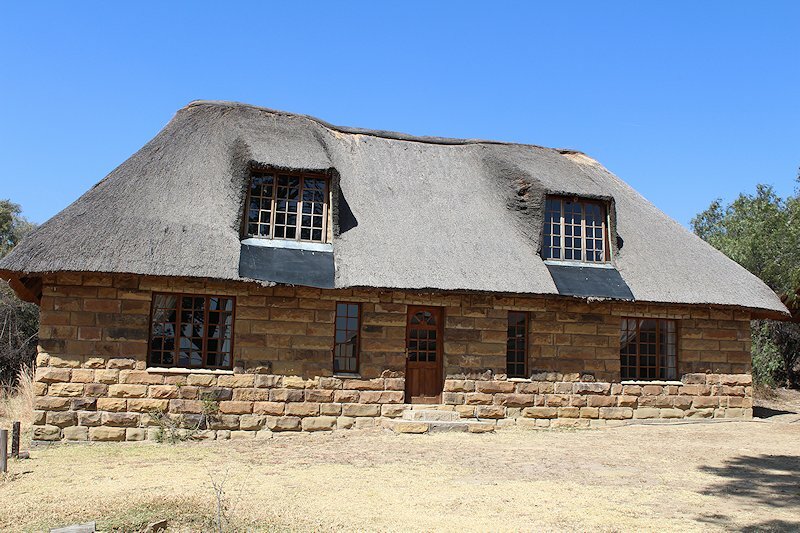 The primary free state hunting lodge is built from sandstone and thatch. 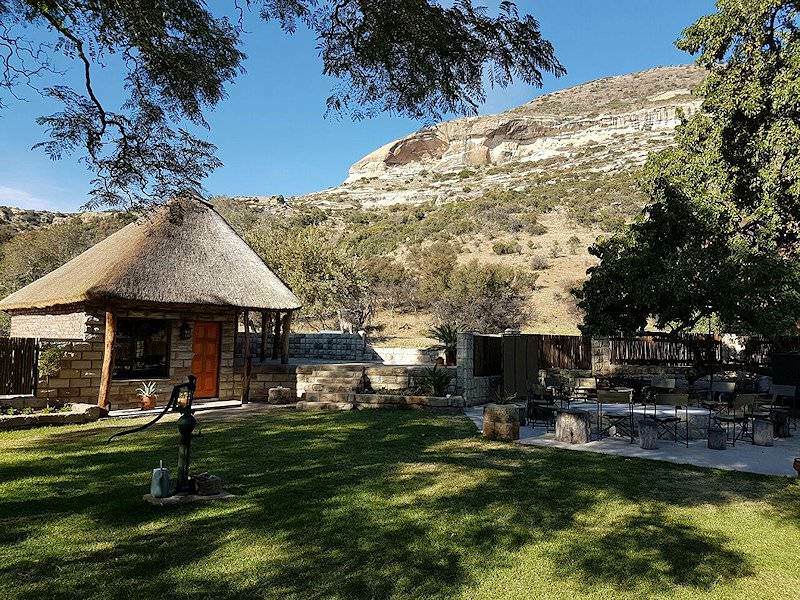 It blends well with the surrounding hills and is an inviting oasis after the days hunt. 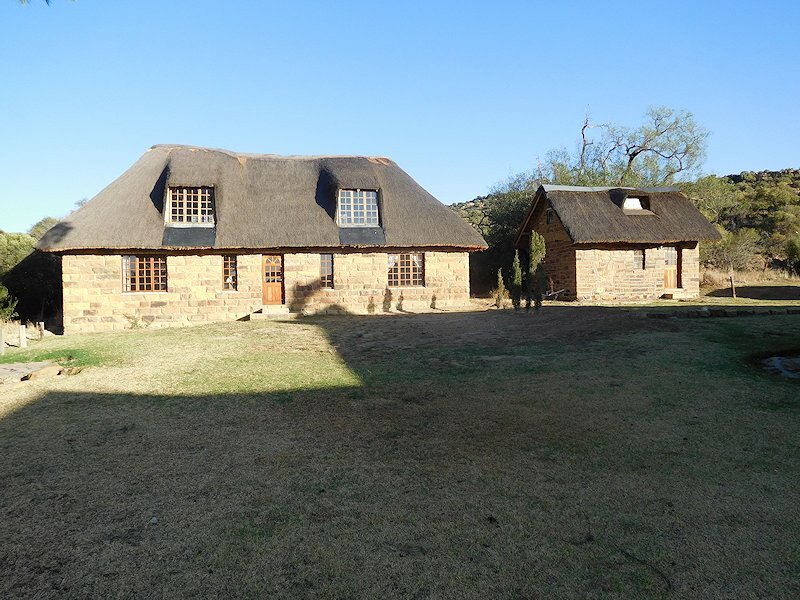 The camp is close to the small free state town of Paul Roux. 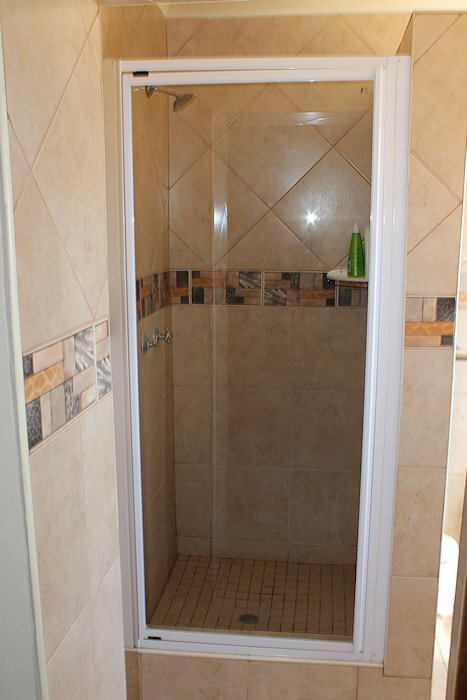 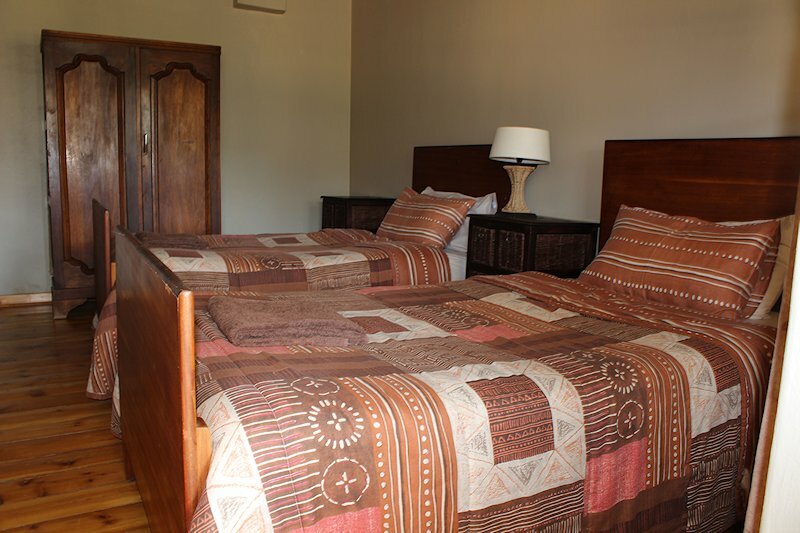 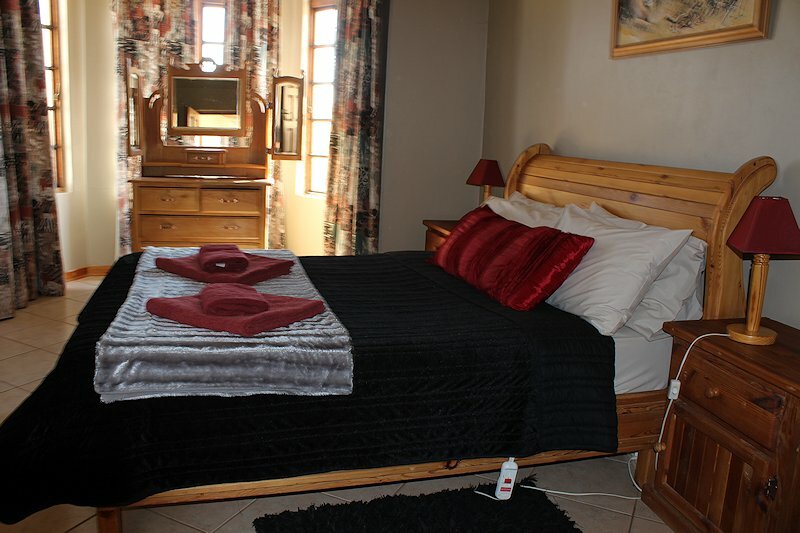 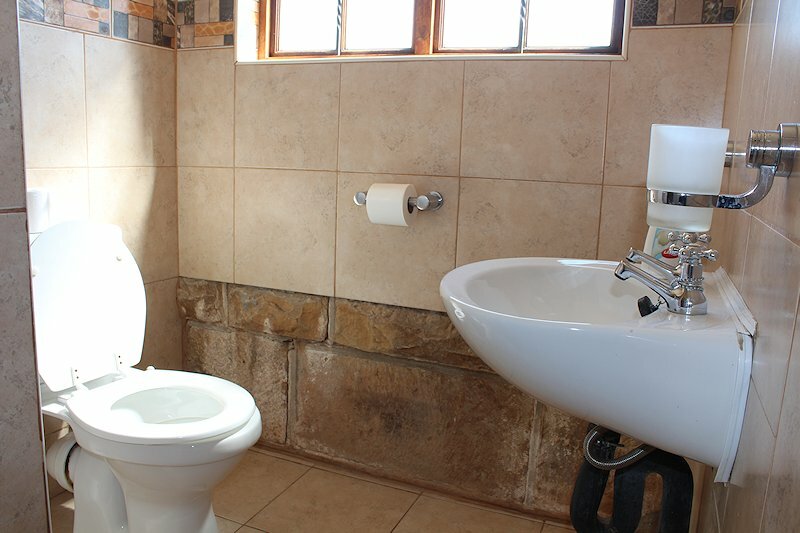 It offers six en suite rooms and a variety of central areas. 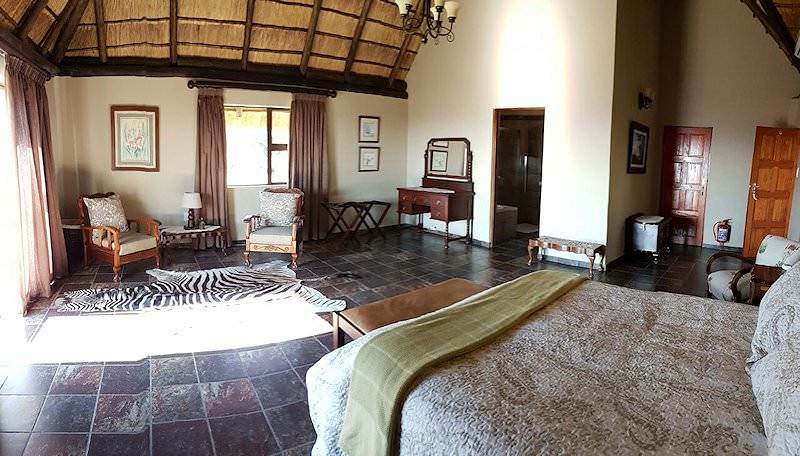 The generous veranda boasts breathtaking views of the Goras plains, frequented by clownish black wildebeest frolicking across the open landscape. 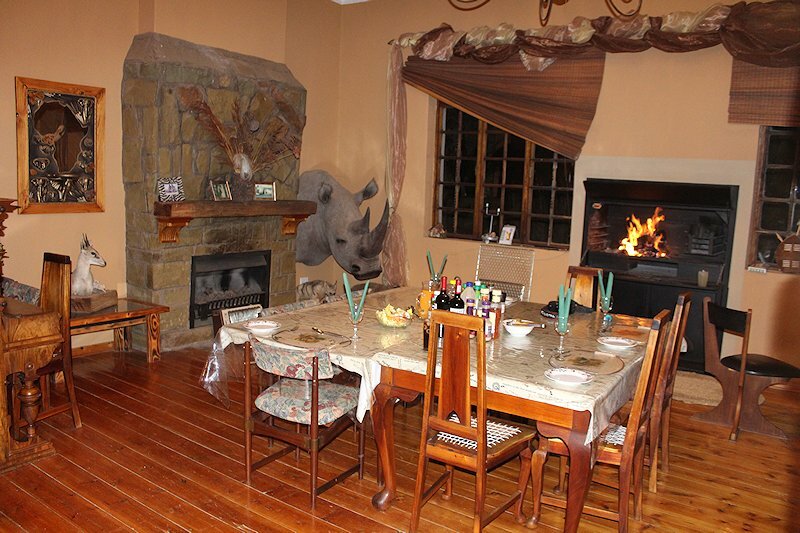 The lodge hosts a welcoming common area for fireside bonding after a long day's hunt. 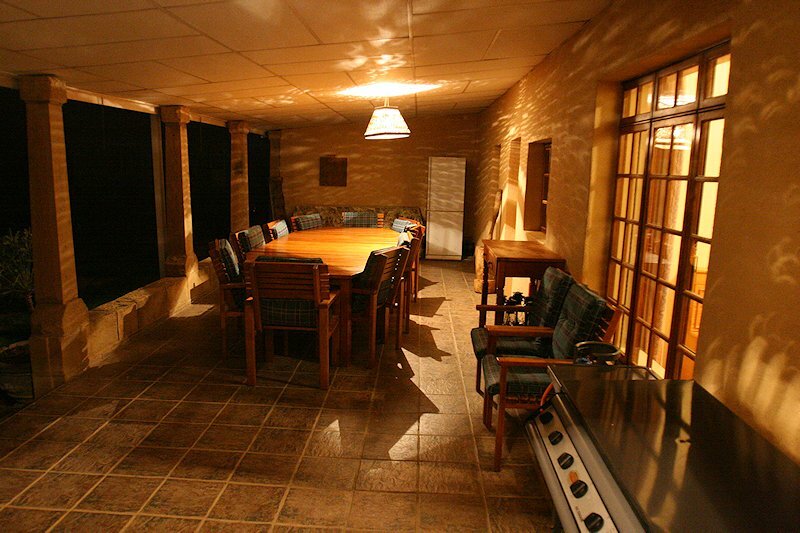 It also has a swimming pool where clients can relax during the warm winter months. 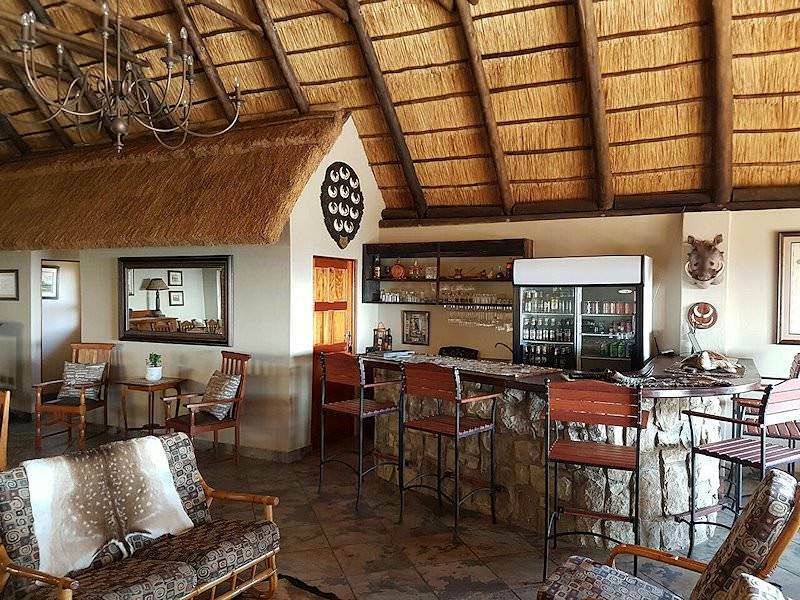 A large bar and cozy fireplace add to the casual countryside ambiance. 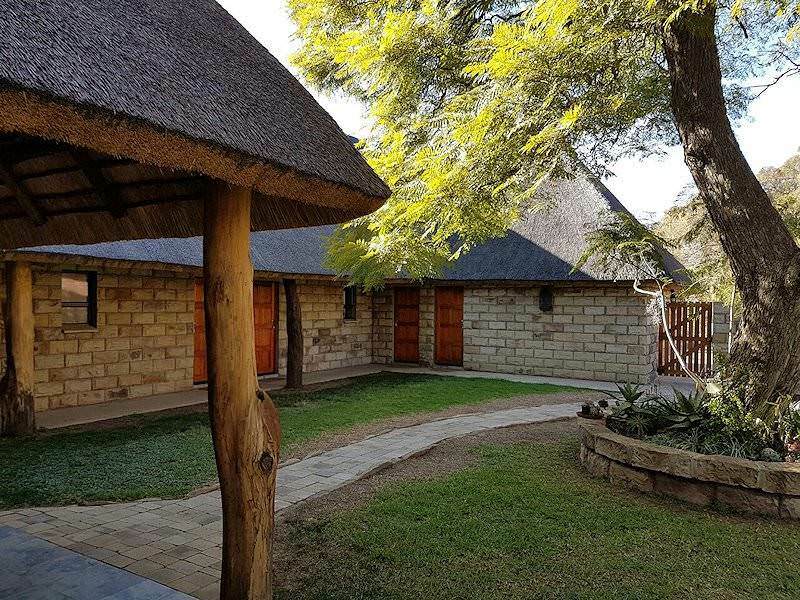 When the weather is not too chilly, long hours are enjoyed around the campfire with juicy chops barbecuing over the coals. 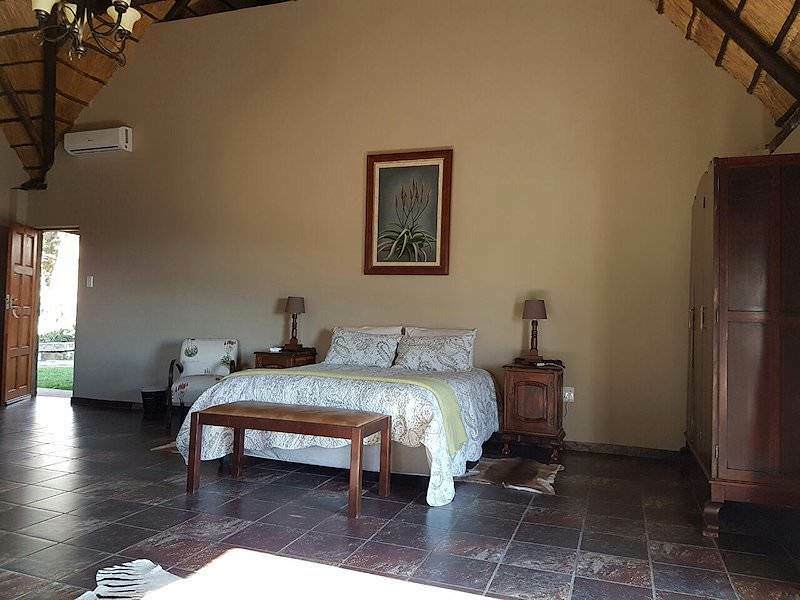 Four well-appointed, en suite bedrooms accommodate hunters and guests, with bathrooms offering either a bath or shower and a toilet. 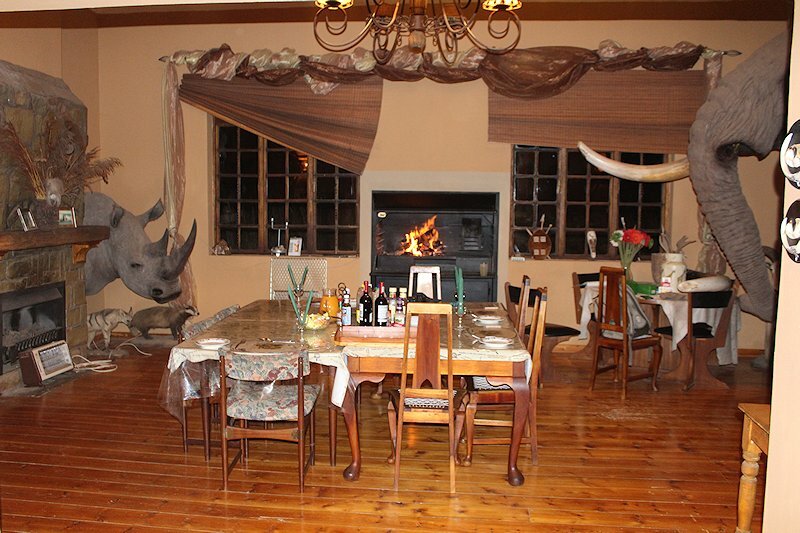 This hunting camp in the Free State is characterized by an old world charm. 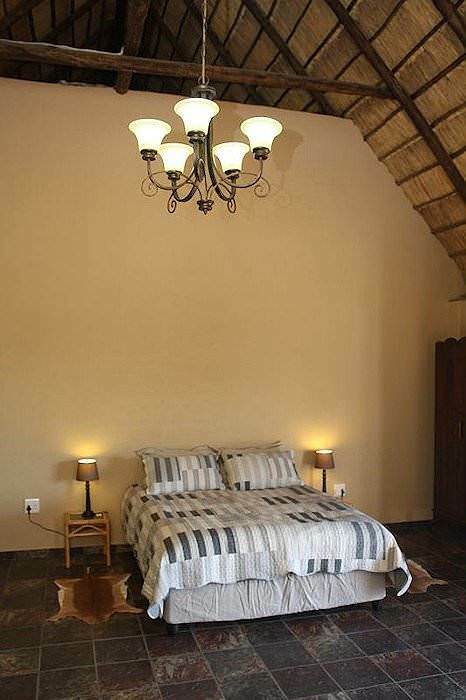 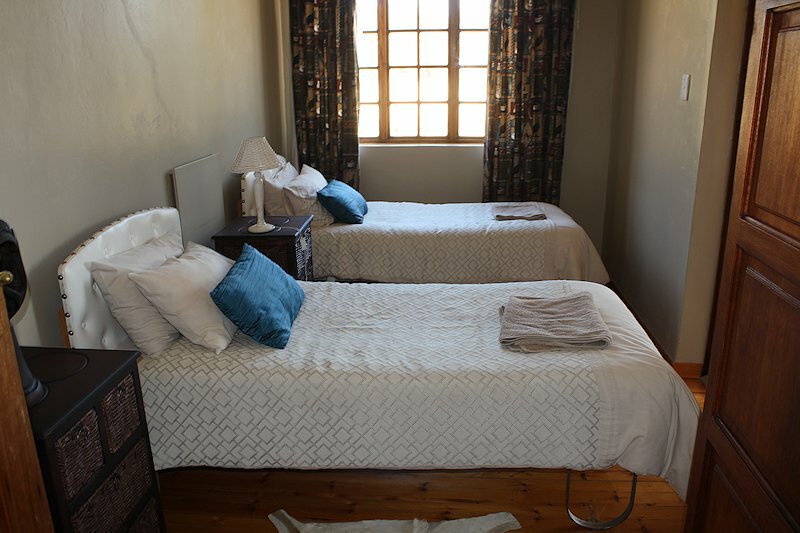 The old farmhouse is basic but comfortable, with a homey ambiance that is intrinsic to South African hospitality. 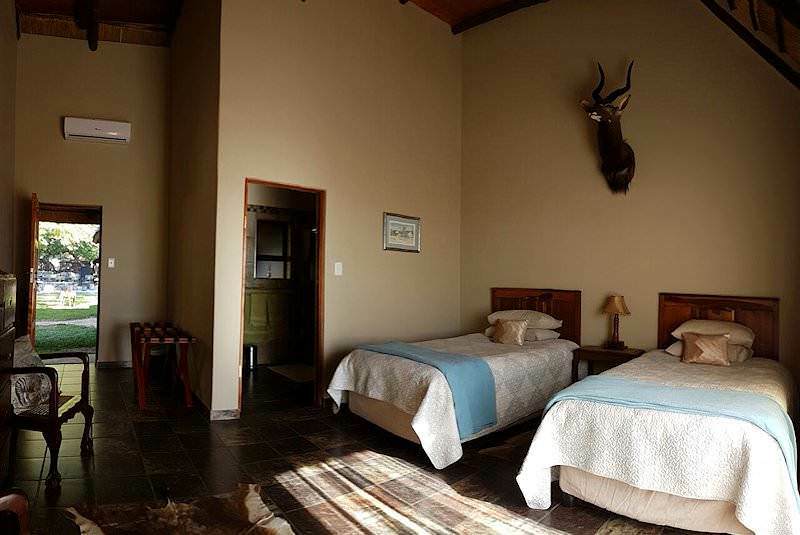 The five en suite bedrooms are cozy and homey and configured with both double bed and twin bed options to accommodate a variety of hunting groups. 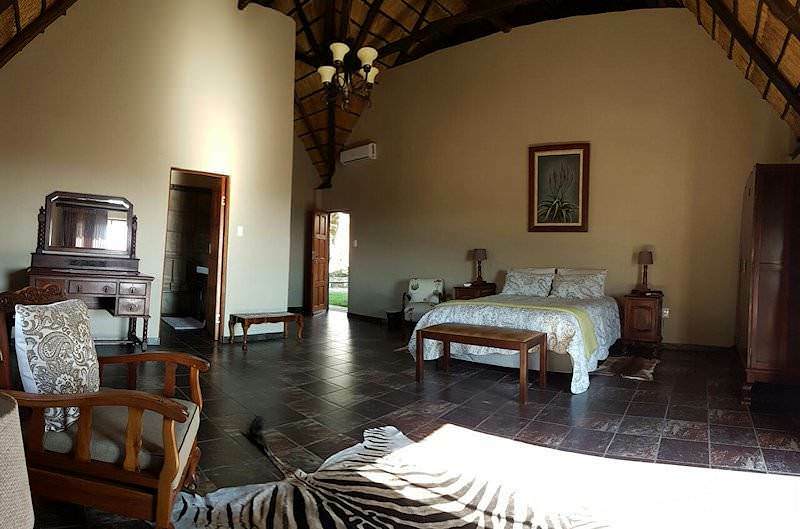 Mealtimes are enjoyed in the kitchen with its welcoming fireplace and indoor braai, or on the spacious veranda with its views across the plains. 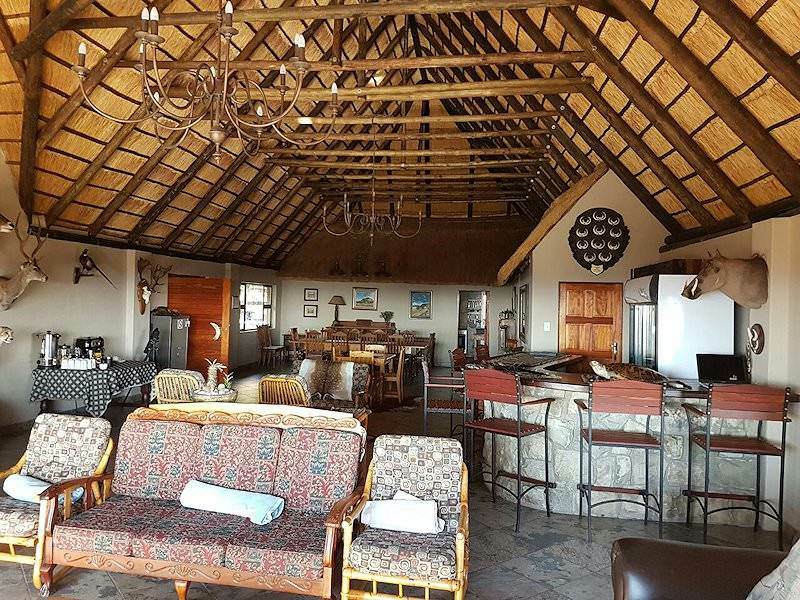 A classical lounge area offers another tranquil retreat. 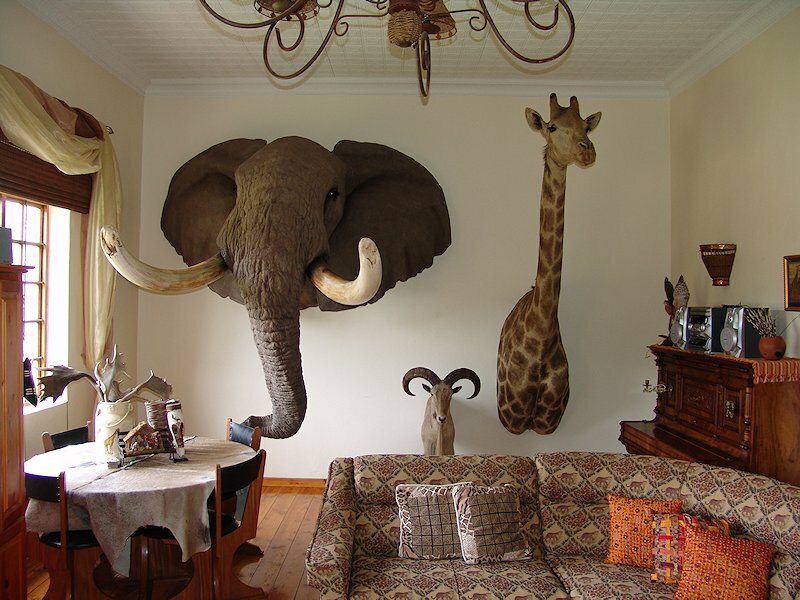 Trophy mounts adorn the walls of the interiors, contributing to an atmosphere of an authentic big game hunting base. 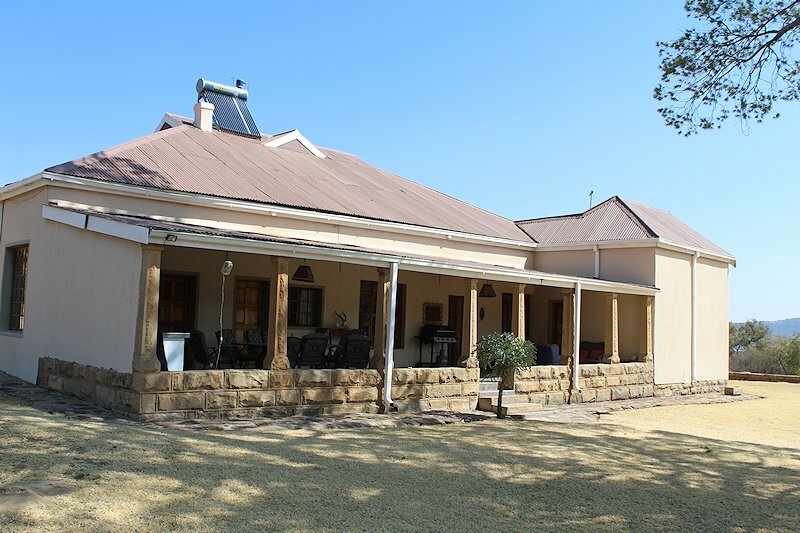 The Free State's frigid winters means that no pool is necessary. 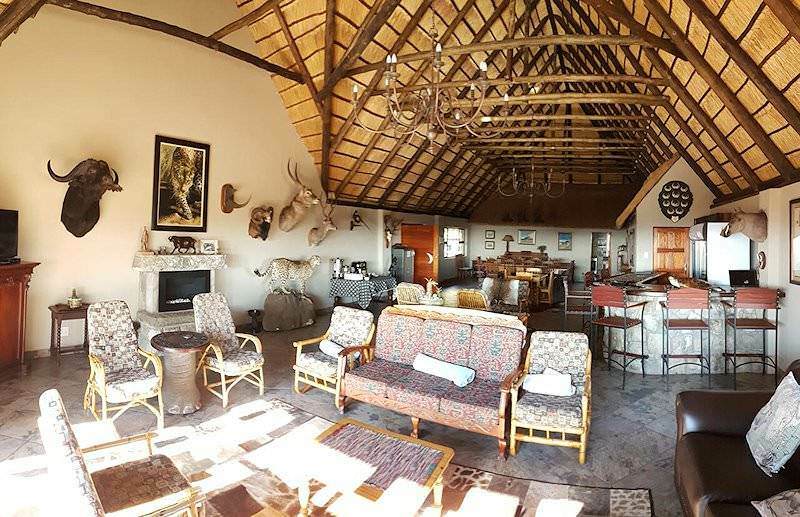 Guests are rather kept toasty with hot water bottles and wall heaters, and unwinding with beverages around the fire in the evening and sharing tales of the day's hunting pursuits.